How many people with certain categories of legal problems receive brief service vs. extended service? Is the percentage of brief service and the percentage of extended service what you would expect for the legal problem code categories? If not, can you explain the difference? 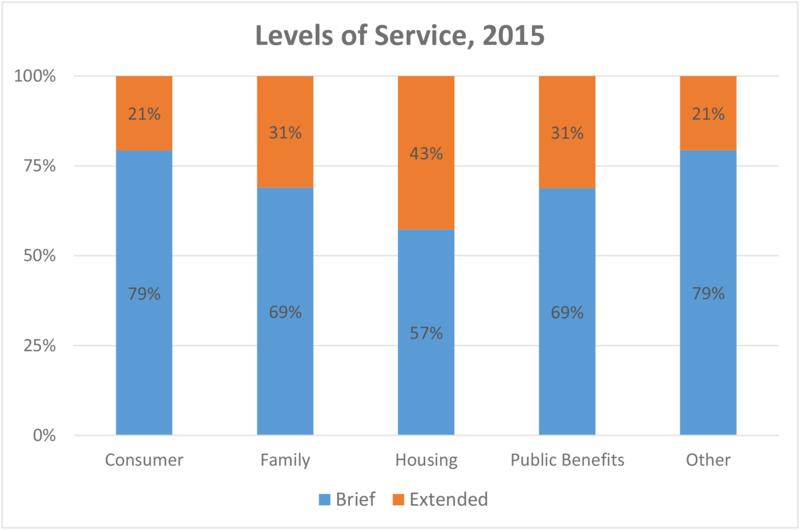 Does the breakdown between brief service and extended service cases meet organizational goals, particularly related to the volume of extended service cases? Find the total cases closed with both brief service and extended service from your CMS for the most recently completed year. Sort the cases by the categories of legal problems meaningful to your organization. Create a graph within Crystal Reports, Excel, or whichever analysis software you prefer (Excel Column Chart shown in this example) that shows the proportional share of cases closed with brief versus extended service. 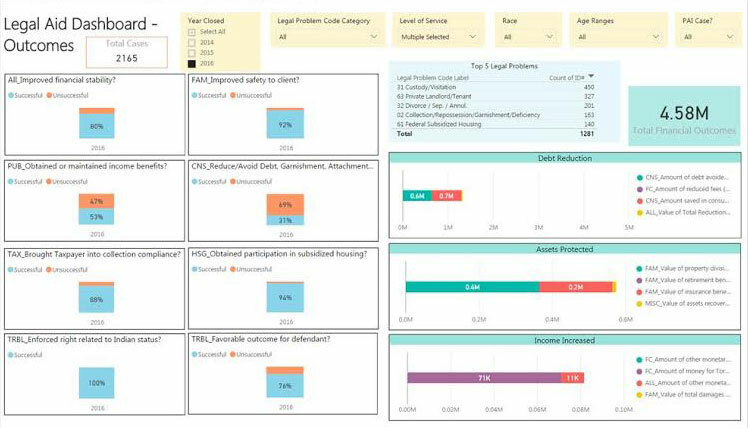 With your case management system outcome data exported to Excel, you can use MPBI to easily create visuals like the ones in the Outcomes Dashboard below.